I’ve told you a couple of things about the Samsung ATIV BOOK 9 Plus in a previous article and in this one we’re going to see how the Book 9 Plus stands when compared to some of its most known rivals: the Sony Vaio Pro 13, the Apple Macbook Air and the Acer Aspire S7. 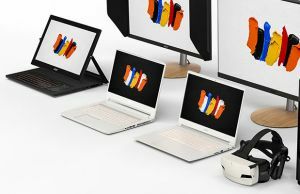 For starters, it’s worth noting that the Samsung, Sony and Acer devices are all premium ultrabooks, some of the best you can find these days on the market. 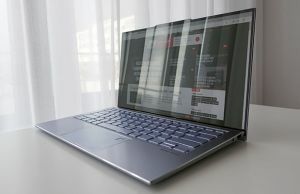 The MBA is not an ultrabook per se, but is the most popular thin and light laptop of the moment. Price wise, all of these sell for North of 1 grand and can easily go above $1500 for the beefier configurations. But if you do want the best ultraportable these days, that’s the price you’ll have to pay for it. Let get one thing straight: all these machines look amazing. But they are different. Acer for instance use aluminum and glass for the Aspire S7, which is available in a silver or a white version. Samsung went for an ash black aluminum unibody on their ultra-slim ATIV Book 9 Plus, while Apple sticks to their successful recipe, with a clean aluminum unibody for the Air. Last but not least, Sony chose fiber carbon for their Pro 13, which makes the entire thing very light, but at the same time annoyingly flexible, as you can see from my detailed review of this machine. Those aside, all these devices have a similar footprint. 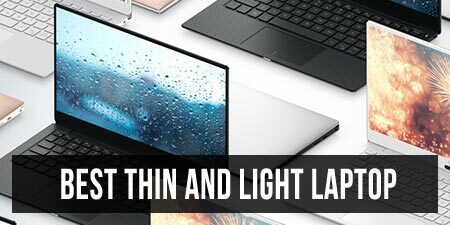 The Vaio stands out with its light weight, as mentioned above, while the Samsung and Acer units are slimmer than their competitors. Around the sides you’ll find a good mix of ports on all of these, with USB ports, card-readers and various video-output options. Each manufacturer went for its own approach, but if I were to pick one here, it would be the Vaio Pro 13, with its Full-size HDMI connector and the Ethernet to WIFI dongle integrated withing the power brick (you can read about it in the review). Lifting the lid covers, you’ll find the same premium finishing on the inside, plus spacious palm-rests. When it comes to the keyboards, things are a bit complicated. With such thin laptops, rather shallow keyboards were expected, and the ones on the Samsung and Sony offer the poorest feedback. But you can get used to them. Even so, the Macbook clearly wins here, with its classic chiclet keyboard, good layout and soft rubbery keys. The keyboard is backlit of course, but that’s the case with all the others as well. Design wise, all manufacturers went for black keys, except for Acer, that chose silver keys on their unit, that unfortunately creates no contrast with the aluminum used for the area around it. The MBA takes all the praises when it comes to its smooth and precise trackpad as well, and none of the Windows based machines can actually match it. On paper, the Samsung outakes the competition here, with a 13.3 inch 3200 x 1600 px IPS panel. In practice though, that’s more or less an overkill, given Windows’ scaling difficulties, as some interface elements are going to be way too small and difficult to access, especially in desktop mode. That’s why I’s rather have the Full HD IPS panels on the Sony and the Acer, also touchscreens. The Vaio Pro 13 actually displays more vibrant colors, thanks to Sony’s Triluminos technology, but you’ll be just fine with the screen on the Aspire S7 as well. The MBA on the other hand packs a subpar screen, which is basically similar to what we’ve seen on Apple’s ultraportable in the last years: a standard TN panel with 1440 x 900 px resolution. In other words, it lacks the pixel density, but what’s more annoying, it fails to compete when it comes to contrast, colors or viewing angles. On the other hand, the MacBook packs a non-glare display, which makes it more comfortable to use outside, something I for one would pick over a glossy touchscreen, but that doesn’t compensate for all the other aspects. Hardware wise, in theory, all these devices are fairly similar, packing SSD storage and Intel Haswell platforms. In practice, there are some things that set them apart. 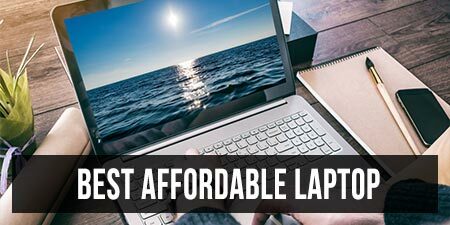 For starters, it’s worth noting that all the MBA configurations bundle Intel’s HD 5000 graphics (the i5 and the i7 ones), while most of the laptops settle for a slower Intel HD 4400 chip. In practice, you’ll feel the difference when running games or editing videos, and not when it comes to multimedia content. Sony does offer a Core i7 + HD 5000 graphics option of their own, but only in the US for the time being. Those aside, all these laptops can take up to 8 GB of RAM, and while Acer offers 8 GB of memory by default for their cheapest model, all the others only bundle 4 GB on the base versions. You also get 128 GB SSDs on all of these starting configs, with options for up to 256 GB of space on the Samsung and Acer, and up to 512 GB on the Sony and Apple devices. It’s also worth noting that not all of these SSDs offer the same write/read speeds, the Vaio and especially the Macbook, with its PCIe storage, taking the praises here. All these devices are going to run fairly cool and quiet when used lightly and at the same time, can get a bit noisy (due to the fan trying to evacuate the hot air – especially the Aspire S7 and the Vaio Pro 13) and even a bit hot when pushed (especially the Macbook Air 13), but that was expected from such thin machines. The 2013 Apple Macbook Air 13 can easily go for 12 hours of everyday use on a single charge, thanks to its large 54 Wh battery and the poorer, less energy hungry screen. 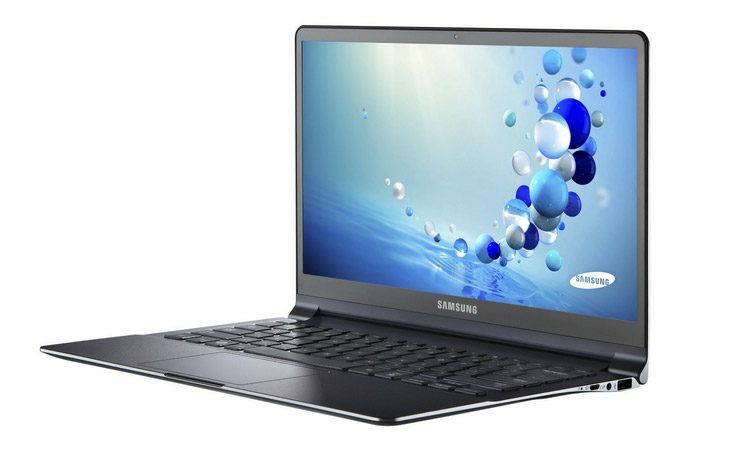 Samsung rates their ATIV Book 9 at 12 hours as well, but in practice you should expect around 8 to 10. Sony only had room for a 38 Wh battery on the Vaio Pro 13 and that translates into about 6 to 7 hours of daily use. But you can buy an extra slice battery that will double the autonomy. Acer went for an even smaller 35 Wh battery on their Aspire S7, which is enough for about 5 to 6 hours of use, but once again you can get a slice battery if you need more. Connectivity wise, all these devices offer Wireless and Bluetooth, but the MBA is the only one compatible with the latest 802.11ac standard, which does make it more future-proof. On the other hand, with the Sony Vaio Pro 13 we’re getting LTE connectivity and NFC, something not available for the others. However, it’s worth noting that many Pro 13 buyers have reported wireless issues on their units, so you might want to look more into that if you’re interested in this laptop. Besides that, I should also mention that all these devices offer some good quality HD webcams and capable stereo microphones, that will do the job for your occasional Skype chats or Hangouts. As of late November 2013, you can find all these devices in stores. Apple’s Macbook Air 13 is the cheapest of them all, starting at only $1099, for an Intel Core i5 processor, with 4 GB of RAM and a 128 GB SSD. A similarly equipped Sony Vaio Pro 13 starts at around $1200, while the Samsung ATIV Book 9 Plus starts at $1399 (but can be found cheaper online). Last but not least, the cheapest Acer Aspire S7 sells for around $1349 these days or maybe a bit less, but comes with 8 GB of RAM by default. You can find all these laptops discounted online though, and you should click the links above for more details about that. At the end of the day, it’s up to you to choose between all these devices. I for one am somewhat amused to see that the MBA is the most affordable in this selection, but that was expected, given how it lacks a premium touchscreen. Even so, it’s still sleek, light (not the lightest though) and powerful enough, plus lasts longer than any of its rivals on a charge. So unless you really want a touchscreen or you really want an IPS panel, the MacBook Air is a good pick for the money. If you do want those or if you’re after a Windows computer, you’ve got all the others to choose from and there really isn’t an obvious pick between them. Yes, the Sony Vaio Pro 13 is more affordable, lighter and can be equipped with a handful of nice extras (slice battery, LAN to WiFi dongle), but is disturbingly flexible. The Acer Aspire S7 and the Samsung ATIV Book 9 Plus are expensive. On top of that, the S7 doesn’t really last long enough on a charge without the extra battery, that requires extra spending and makes it bulkier. As for the Samsung, it seems to lack any major flaws, but I’ll hold my final judgement for a detailed review. Alright, that’s about it for now. 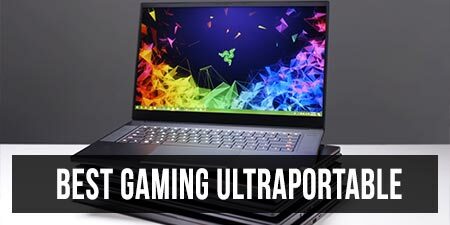 Hopefully this article helped you understand the main differences between all these ultrabooks. 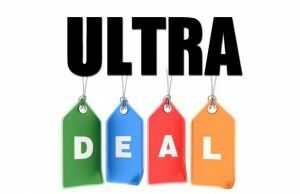 If you have any questions, shoot them in the comments below, and make sure to subscribe to the site and follow me on Twitter, Facebook or G+ for more details on ultrabooks and portable technology. And if you’re interested in more details about the best ultrabooks of the moment, my detailed article over here is surely something you have to read. Totally biased throughout for the Air. If you don’t even notice that you make mention of the capability of the Sony to have the ac standard, but then go onto note the problems people have reported and totally neglect the fact that having 4g built in is an amazing feature to have. Then you mention the price point of the Air but completely live on falsehoods because at that price it dosent even come close in spec to the others except for having the hd5000, which has shown to have negligible performance gains over the 4400. I respect your opinion, although I don’t agree with it. That’s how I see things right now. However, what specs are you talking about? What’s missing on the Air? What else would you want? Except for the better screen of course, which was mentioned. But is that worth $300 extra? This was good just before the last paragraph. Too much bias towards macbook air(the only notebook present here which is slower than its previous generation). “it’s sleek, light, more powerful than its rivals”– what is this!! 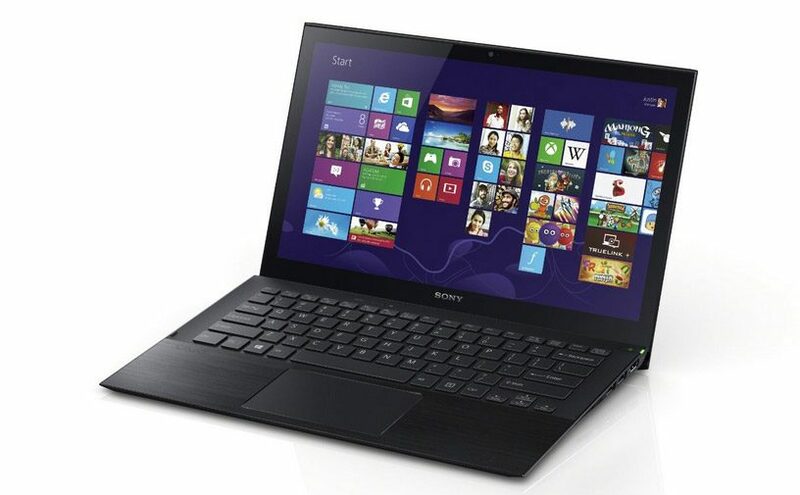 Its not sleek(acer S7,vaio pro 13), not light(vaio pro 13) and the slowest (1.3ghz) amongst its rival. Breathe pls. Comments need to be approved, that’s why they aren’t published right away. Im trying to find a ultrabook with a great ventilation system so it doesnt sound like i have a miniture vacuum cleaner in my room. What do you suggest? 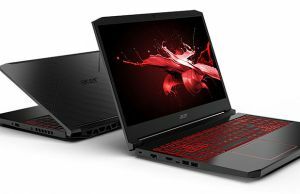 some blogs wrote that because of its fan technology, acer is the one to go with? what is your opinion on this? I was wondering where you found the Sony with the HD 5000 graphics. It’s not on their website, only the HD 4400 is showing on there. I was checking for it on the US website to maybe order from there, but no, the HD5000 is not offered anymore. Thanks for your review, but I think I’ll get the VAIO, if the Ativ 9 won’t change my mind. Hi, I’m currently considering between the Sony and Samsung, finding it really hard to choose! I’m not willing to switch to Mac and haven’t really looked at the Acer. I’ve gone out and held the Vaio pro and loved it straight away, but my only concern with it was the glossy screen. It gave off a lot of reflections and glare in store, and I’ve heard the Samsung comes with a matte display. If I were to choose the Sony I would get the i7 processor with 128gb ssd = £999. Unfortunately I’m in the UK and can only get the Ativ book 9 Lite version which has an i5 processor for £599. Other than that its specs are fairly similar. Do you think better processor and better looks on the Sony is worth the extra £400 than the Samsung? And did you experience any reflections or glare on the Sony yourself? Thank you! the ATIV Book 9 Lite and the 9 PLus are completely different devices. So you can’t really compare the Lite with the Vaio Pro 13. The 9 Plus should be available in stores soon, but from what I know, it will have a glossy screen as well. All touchscreens are glossy, due to the glass on top. Thank you, I’ve gone for the Sony in the end. Cant wait any longer for Samsung as I’m off to Uni soon. Thanks for the heads up! The Lenovo X1 carbon touch has a matte finish touch screen. I think they add some other layer to the top. Andrei, what should I buy? The Ativ Book 9 plus, the Lenovo x1 carbon touch, or the vaio pro 13?? Hi Andrei, I’m just starting my masters program in engineering and I was on the hunt for a new computer to do my work on. I haven’t used a Windows computer since my undergrad days but I do recall them working better for enginering programs such as Minitab. Do you agree that a Windows computer would be the way to go? Also what are your thoughts on the ASUS TX300? I heard that was a good laptop as well. Thanks for the great article! A quick question. How big is the difference between running i7-4500u and i5-4200u on the battery life? I’m curious to know if the faster chip is worth the amount of battery life it sacrifices. I assume all the battery benchmarks above were done on i5? The wifi problem that people have mentioned is true and it really is a huge downfall. My connection was unstable and disconnected 5 or more times a day. Was really frustrating and I could not take any more. Plus the fan was super loud at times. Sony did give a driver update for the network adapter which did improve the problem slightly but did not fix it. So now I’m out looking for a new laptop, preferably with similar specs. Only one I had in mind was the Ativ 9 plus. Any other suggestions? Go for the Samsung S9 Plus! I have one now for a year. It has some odds, like the keyboard is not the best, but all are within acceptance. The S9 is stable. It runs for up to 8 hours on use, WiFi on, a short video or two, some graphic work and so on. Working with it! The price is a bit high, but after a year having it, it was worth it. Any chance you know when we might expect one? Thanks for a wonderful site! Enjoy reading you! I would get get the MBA. The Vaio Pro is definitely a nice device, but it’s too flimsy for my liking and there have been many complaints about its wireless performances. The 11 inch MBA does not have an SD card reader, that’s probably important. It also has the lower resolution screen. If you need the power and can get along with only 3-4 hours of average use, the Zenbook UX21A is a good option, with an Intel Core i5 processor. If within budget, get something with 8 GB of RAM. Also, you should know that the base versions of these laptops all come with 128 GB SSDs, so you’re only left with about 75 to 80 for your content. IN other words: you’ll have to use external hard-drives for mass storage. I am based in South Africa so my options are a little different. Doing photography I was looking at an 11 inch machine ideally (fits in my camera bag) but here the only option would be the MBA 11. So if I explore the 13 inch machines my choice are the Vaio Pro 13 with the i5 chip and non touch, full HD screen, or the MBA 13. The Sony here though is R12000.00 (roughly $1200). The MBA 11 is equivalent to $1280 in basic config and the MBA 13 basic config is $1380. I would be interested to know which you would advise going for. I have never used Mac OS but I am willing to give it a try. What I buy now needs to ideally last 3 years. While I do photography I don't do huge amounts of editing on PC, it will spend most of it's life writing articles in Word and running Chrome. Wht abt Macbook air.. ND whc 1 to buy 13″ or 11″..Plz do tel me more abt diz . planning to buy in coming week..
Love all the replies. I need to order a laptop today. I have been looking at the ATIV 9 Plus (in the US), I have ruled out the Sony due to the feedback above on the WiFi and I am just not a fan of Apple. I am looking for thin, light, great processing power and am between the Dell XPS 13 and the ATIV 9 Plus. I cannot find any store in the US that has them on the shelf. Only online ordering.I have read reviews that the 4GB of Memory on the ATIV 9 Plus is not enough and the memory cannot be increased. Thoughts on what laptop I should go with? Depends on what you’re going to run on it. 4GB of memory might not be enough though. The XPS 13 is probably cheaper, has a better keyboard and less ports. I just saw the Ativ Book 9 Plus at Best Buy in CT if that helps. It seems the good Haswell machines are coming out on display in time for the holiday shopping. Last I checked, the term Ultrabook applies only to Windows based Thin and Lights. Maybe Intel changed the term in the mean time… so, did they really? Firstly, I have to say your reviews are very thorough & helpful. It would be great if you’d add the Lenovo Ideapad Yoga 2 Pro to this comparison. I just saw the display unit at Best Buy and the specs look great for a much better price than the Samsung Ativ Book 9 Plus. I think I’m down to those two & will buy one of them. Great review Andrei; very insightful! In terms of screen quality, which ultrabook do you think comes out on top? Are the 1800p/1440p/1440p screens offered by s9plus/ux301/s7 better than the 1080p equivalent in terms of colour reproduction, contrast and brightness? How does screen quality of the pro13 rank with these ultrabooks? In terms of contrast, colors , brightness the differences are small. For instance, the 1440p screen on the Asus Zebook ux301 is bright and the colors look natural on it, but the 1800p screen on the Lenovo offers imh better contrast, while paints more saturated colors. The screen on the Samsung is also a bit OFF with reds (orange tint). Those being said, there are good and worse panels , regardless of resolution. Apple is pretty competitive in price when it comes to small/sleek devices. Where it usually gets blown out is in the DIY and very high end range, where PC parts could easily mean 1000’s of dollars difference. Fortunately, hardware for most people is now way overkill for software they use, and people are far more mobile, so it’s pretty easy to go with the better designed apple. Apple has been killing in with the Air/ipad/iphones but suffering for pros in their mac pro/xserve lines the last 3-4 years. I am a university student and not much of a gamer. 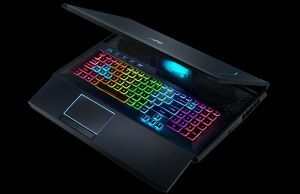 I mainly want a laptop thats small/light, quiet/doesnt get too hot and most importantly if I have a lot of documents and applications open that it will still be very fast. Which would you suggest? Ive always been a windows user but am open to mac. just not too sure about its compatibility with common accessories. Is a non touchscreen laptop okay with ebooks or is it better to have a touchscreen? I like music don’t you, what about speakers??? great write up. Much appreciated! The inclusion of the MBA really retracts from the value of this review. 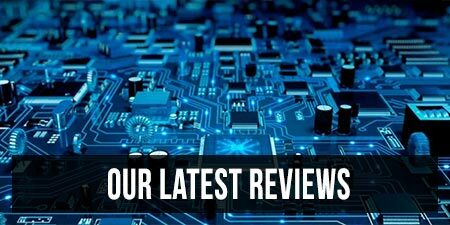 Most people that need to read reviews shop based on windows vs PC and based on price point. I prefer Ativ Book 9. I hear a lot of people choosing the MBA over ultrabooks for the quality and life-expectancy of the product. By this i mean how long the computer will last, how it resists to everyday transport and use, garanty schemes, customer service etc… What could you say about this? I can tell you that by life-expectancy Apple products lose right away. Apple support it operating system for 3 years, meaning they will update the software fix glitches and so on fro 3 years. Windows supports its operating system for 10 years. So after 3 years your macbook will start to get old as apple will stop caring for it and as developers wont bother with updating their software for macbook products because apple wont update/enhance the operating system. Thanks alot Andrei for your sharp reviews of computers.How does MB air perform with windows, Is MB air with windows affordable? At first, congratulations! Your website is awesome! I am in Brazil trying to read as much as possible to decide with ultrabook i'll buy. So thank you for the amazing job. With your experience, would you take a risk and buy one for yourself? And case not, What would you buy it instead? Hey Rebeca. I probably wouldn’t buy the Vaio Pro 13 right now. On top of the issues, Sony has sold their Vaio division, and I’m not sure if that’s going to have any negative impact on warranty and support services. But personally, I’d stay away.